One of the cool things about being a socially-focused yellow page site is that we get to analyze the social data of the businesses on Zappenin. Surprisingly, within each category, the percentage of businesses with a Facebook page was almost exactly the same as those with a Twitter account. 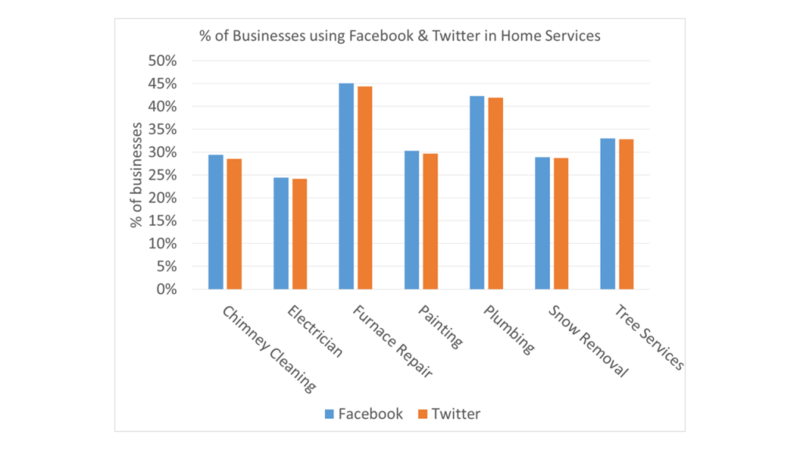 However two categories, Furnace Repair & Plumbing, had a far larger % of socially-active businesses than the remaining five. The lowest socially active category was Electricians. Below you can see the percentage adoption across all 7 social networks we currently monitor on Zappenin. 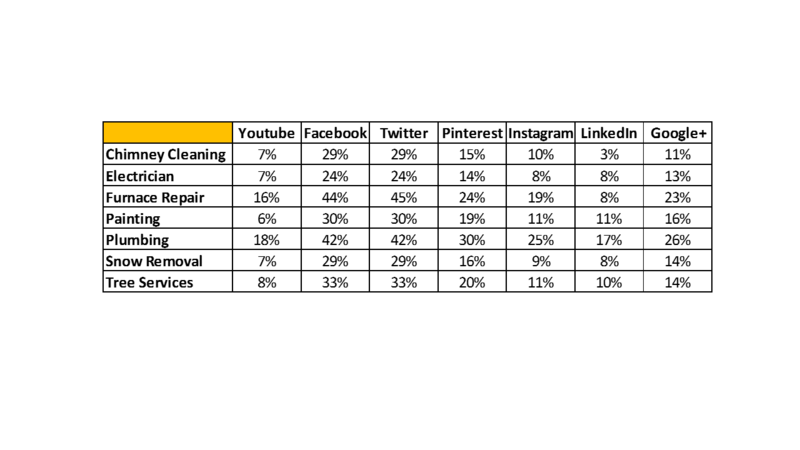 After Facebook & Twitter, Pinterest was the next most heavily used network followed closely by Google+.